Paryavaran Mitra organised a host of events during World No Tobacco month such as poetry and poetry competitions, slogan contests, short plays, quiz, films, poster contests amongst other activities. There was a huge level of participation for these events. 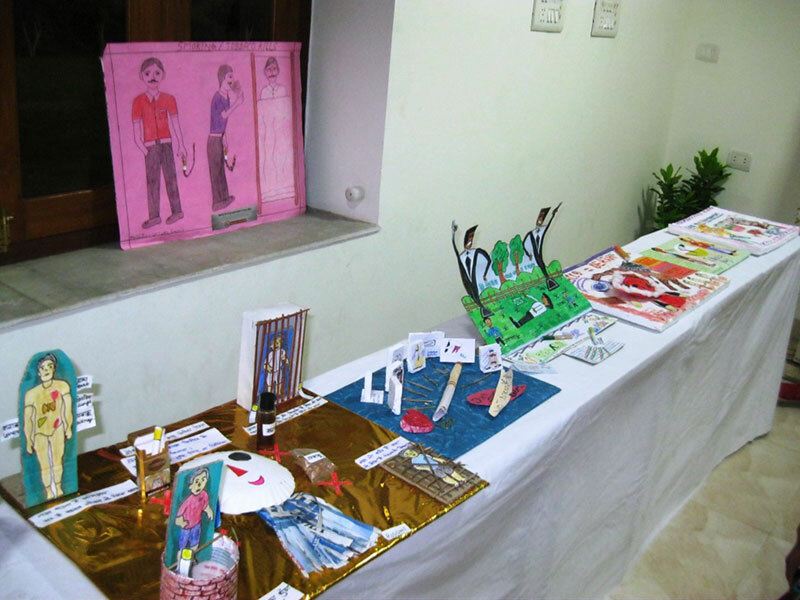 Students presented the ill effects of tobacco consumption. 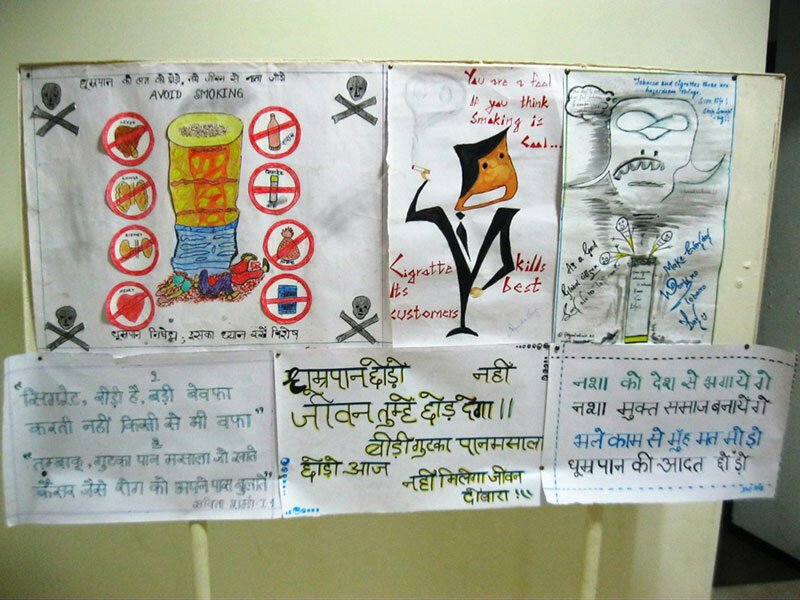 The posters also demonstrated how to keep oneself free from tobacco consumption. The short plays were presented at Hind Parisar by children and conveyed some key messages around short life expectancy of people who smoked and used tobacco. One of the plays presented the story about a singer who lost her voice due to heavy consumption of tobacco that affected her lungs and throat. 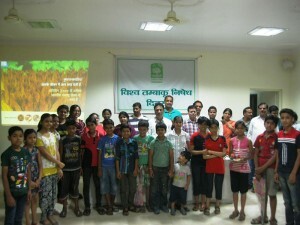 The quiz programme centred around questions about the ill effects of tobacco. 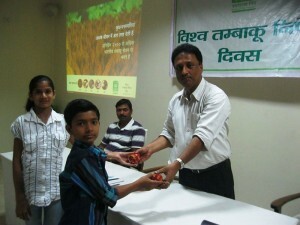 On May 31, World No Tobacco Day, a prize giving ceremony was held at Hind Parisar and a power point presentation prepared by Salaam Mumbai was shown. A few short films and posters around the same topic were featured as well. Paryavaran Mitra made a strong point that it was mandatory to quit tobacco to save our present and future generations form ill health. Mr. B.B. Mukhopadhyay, CEO, Hind Lamps visited the various exhibitions and said we should all abstain from tobacco consumption. 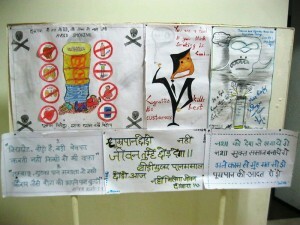 Young Scholars and Gyandeep Students spread the message of ‘No Tobacco’ through posters, models and skits. A joint effort was made by PM, Gyandeep students and Young Scholars to spread the message around ill effects of tobacco consumption. This was done with the help of models, paintings, skits and models. 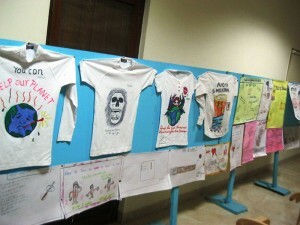 A lot of talent was on display as the various groups used their own artistic methods to convey the poignant message. The chief guest Dr A.K. Ahuja emphasised that it was important to instil the message of ‘no tobacco’ from a very young age so our youth could grow into adults who do not suffer from tobacco related ailments. A T-shirt and painting competition was organised at Gyandeep School. 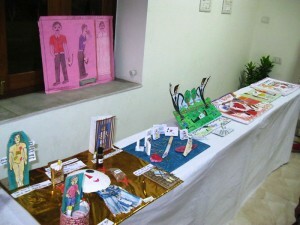 Many students participated with great enthusiasm. Dr Jeetendra Singh Yadav, chief guest, the Jilla education official said, Students were the future of our nation and it was important to relay important messages around this topic through active efforts with students. The Commanding officer of U.P. NSS battalion, N.K.Tivatiya and Dr. Rajani Yadav, Director, Gyandeep encouraged and appreciated the students for their fabulous contribution to the event.